As an ecommerce site owner, you surely have heard about sitemaps. But what exactly are they? Which benefits your online business gets when having a sitemap? How can you make useful sitemaps for your website? In this blog, we will go deep into these questions. In general, a sitemap is a “map” of your site including a list of pages on your website. 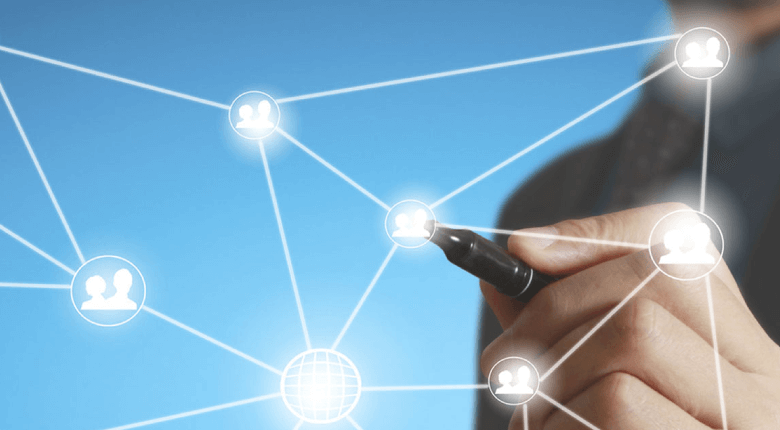 Regarding technical, a sitemap is a navigational tool which lists links to pages of a website to provide an overview of the site’s content and organization. There is two type of sitemap which is HTML and XML. HTML sitemap is a sitemap presented in the form of a web page. An XML sitemap is an XML file lists all the URLs of a website and additional Metadata about each URL. So why do they need to create 2 different types of sitemap? What are the benefits of each type? Let’s find out in the next part. Why Is Sitemap a Must-have in Magento 2? To get your business in the search result when there’re keywords typed in these search engines, you need to let them know what is delivered in your websites. Google and other engines use programs which are often known as crawlers to “read” your pages and decide which ranking the content deserves. Hence, Google, Bing, Yahoo,…, all provide a tool where you can submit them a map to make sure all information of your site can be reached. That’s how the XML sitemap is used. In the XML sitemap, you can provide meta data related to each page in the list. And according to Google Search Console, “Metadata is information about a web page, such as when the page was last updated, how often the page is changed, and the importance of the page relative to other URLs in the site.” The more details you give, the better and faster Google can index your content. Moreover, Google also allows video and image content in the sitemap. XML file, also, gives information such as running time, category, the rating of videos or subject matter, type of images. Especially, for a Magento 2 store, where pages are filled with images of products, this will be a big help to get your online business archive a higher page ranking. Unlike XML sitemap which is designed for the robot only, HTML sitemap is presented in a readable form of a web page. In an online store filled with massive products, an HTML sitemap is an ideal choice to give customers complete looks of what you offer. People tend to forget that HTML sitemap is readable to not only human but also crawlers. Hence, website owners often neglect to include HTML sitemap on their websites without knowing that they are taking away the chance for the site to be indexed more carefully. In videos posted on Google Webmasters Youtube channel, the Google team themselves state that they can not guarantee that the robot indexes all links in the XML sitemap. And HTML sitemap is like another chance for the site to be crawled fully. So why give up on this amazing way for hundreds and thousands of product pages in your Magento 2 site to be reachable. The above sentence is the first line the Google Guidelines – the essential rules to follow if you want to have the best SEO performance. In another saying, HTML sitemap is the perfect tool to create internal links to every page of your site. 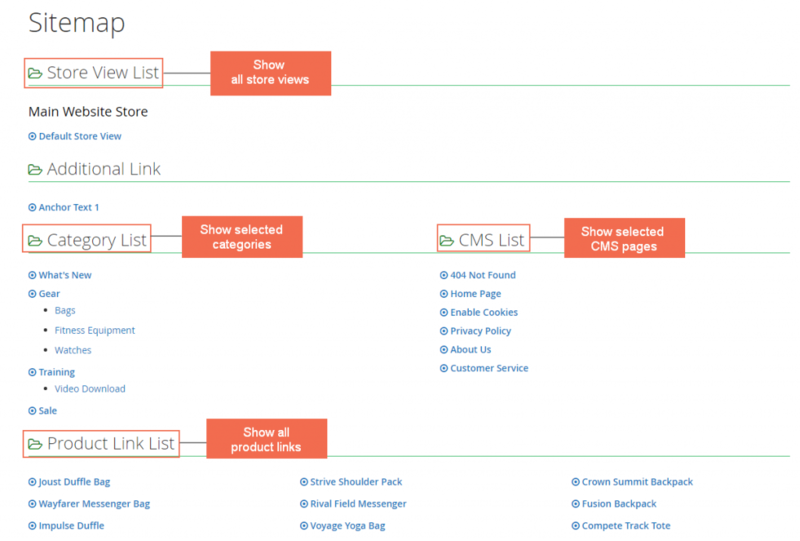 How to Generate Sitemaps for Your Magento 2 Store? Default Magento 2 supports quite well with XML sitemap feature. You can go to Admin panel and access Store ⇒ Configuration ⇒ Catalog ⇒ XML Sitemap and start setting up an automatic sitemap. In options section for Categories, Products or CMS Pages, you can assign the Frequency and Priority for each of them. 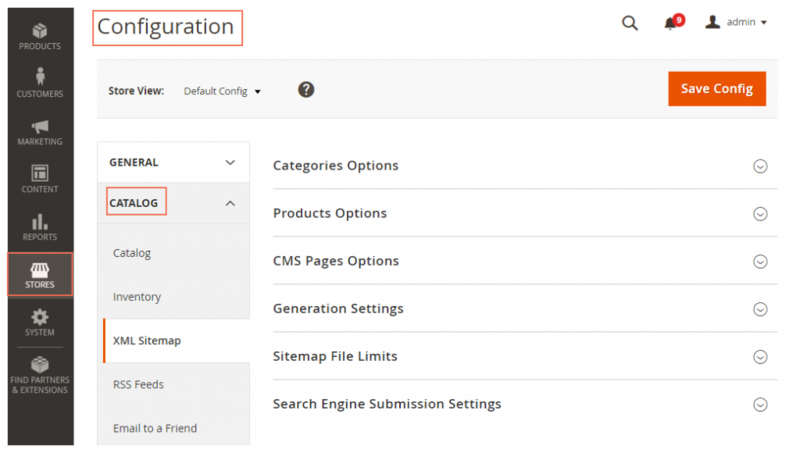 In Generation Settings, you can even set up the time and frequency for the sitemap to be updated. Or you can check out our Google XML Sitemap for Magento 2 extension which supports generating and splitting XML sitemap for faster and better indexing by search engines. Unlike Magento 1, HTML sitemap features are no longer available on default Magento 2. But don’t worry, you can still get an auto-generated and auto-updated HTML sitemap for each store view by Dynamic HTML Sitemap for Magento 2 extension. Furthermore, you can customize as your wishes by deciding the order for each session (store view, categories, products, CMS,…) at the backend to get the most customer-friendly sitemap. And the SEO performance for the sitemap page itself can be enhanced by adding the meta information for the crawlers to index more easily. In a world where people google everything, SEO plays an essential part for your online business to be spread to customers. And sitemap is the critical tool for a higher page ranking. 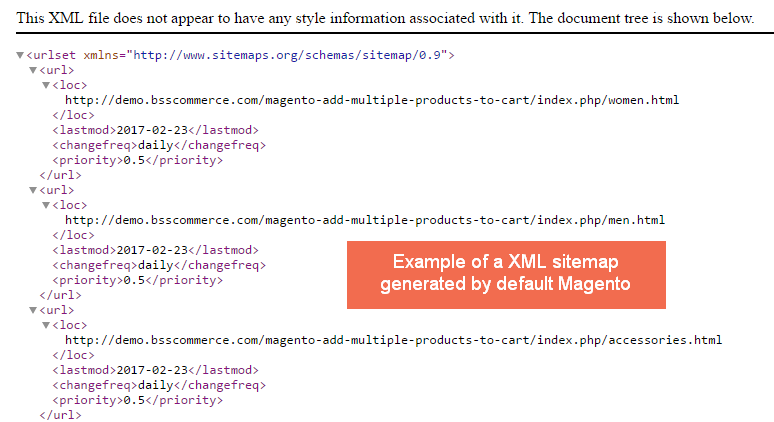 Both HTML and XML sitemap can support Magento store owners well so get your store ready with sitemap right away. Great post about sitemap.You seem to have a good understanding about why sitemap must have in magneto 2.good work and keep going. Nice article about sitemap.It’s impressive and also helped too. Thanks for sharing this post and we will try to keep touch with your site.